44 social media experts presented 33 sessions at Social Media Success Summit and highlighted their favorite social media tools and services. There are the usual suspects: HootSuite, Bufferapp, Feedly & Co.
There’s also a number of tools that I’ve never heard of before. In this post I list as many tools from #SMSS as I can find while going through the live sessions, the Live-Tweets, session recordings, and transcripts. The post is work-in-progress. I’m still going through the material, and as the final presentations will be posted this week, I’ll add more tools and descriptions. I’m open to feedback and expanding the article. If you want to add some info about the tools, use the comments. I have included info on prices and free trials. Be aware they can change any time. Some of the resources mentioned aren’t ‘social media’ tools by definition. It shows how connected the seemingly separate disciplines of social media management, SEO, content marketing, web design and web analytics are. You can’t just focus on one area and ignore the rest. Marketing with a long term focus will include all of those areas. The next important event is Social Media Marketing World. 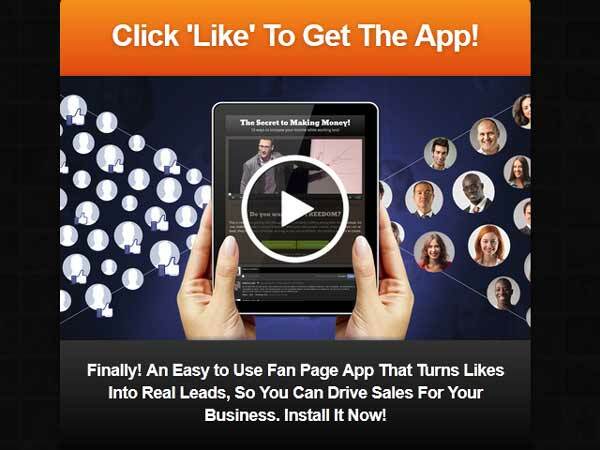 Click here and discover all that Social Media Marketing World has to offer. 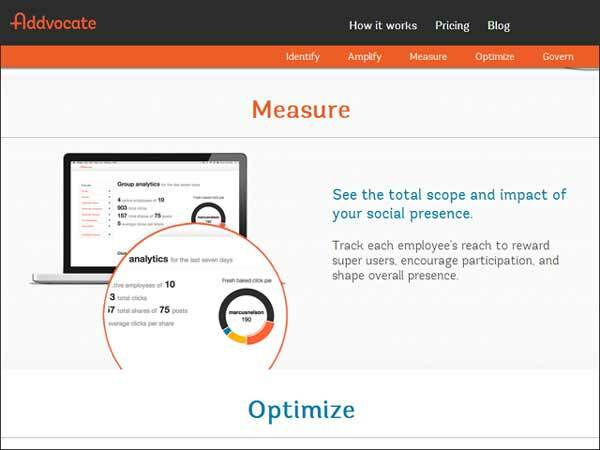 Addvocate is a tool to manage employee advocacy. “Employee advocacy” means your employees represent and promote your company on their individual profiles. Addvocate allows you to monitor and improve your brand’s social presence by making it easy for your employees to share interesting content—and easy for you to track their reach. There are tools for the employees to simplify content sharing to their profiles, for example a browser extension. 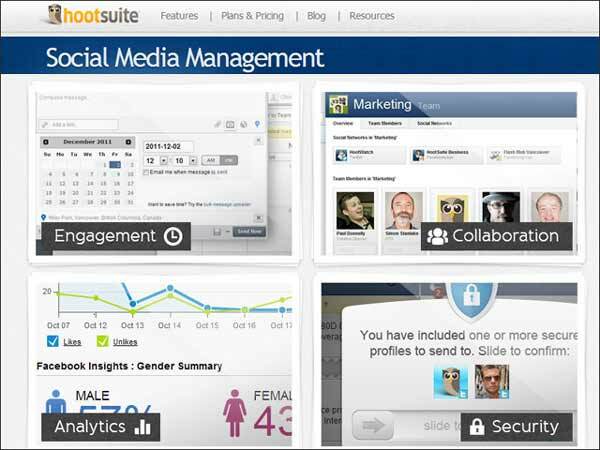 And of course there’s analytics to monitor the social media activity across your company. There’s a free version “for the small scrappy startup” with up to 5 users. Above 5 there’s a moderate pricing per user. 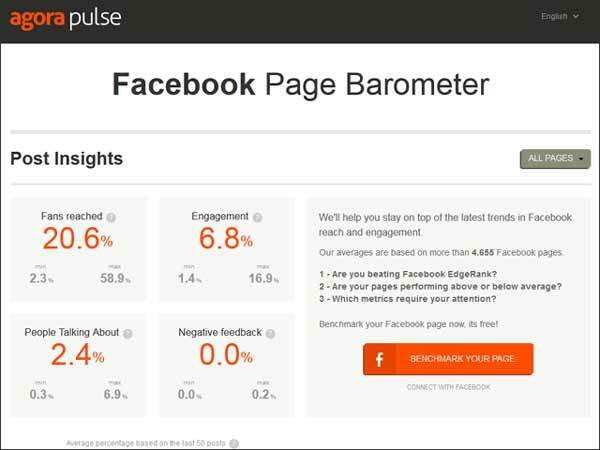 The Facebook Page Barometer is a free social media analytics tool showing you statistics about your Facebook page. Apart from the barometer Agorapulse offers a range of paid services as monthly subscription, starting at $29. Then of course the obligatory statistics, and a tool to manage posts on your page. 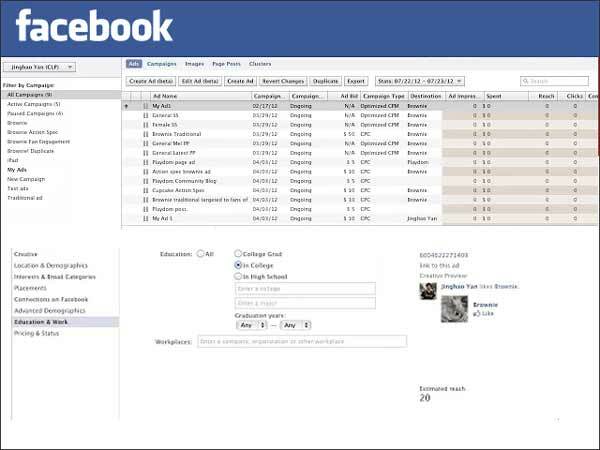 An interesting tool is the Facebook CRM to manage your Facebook fans. You can identify your most engaged fans, collect info about your fans, and export the data. This popular tool barely needs an introduction. You can create trackable short links to any URL, then you can use these short links in your social media posts or blog posts or emails and find out how many people actually clicked your link. You can see the advanced features/benefits in the screen shot below on the right hand side. 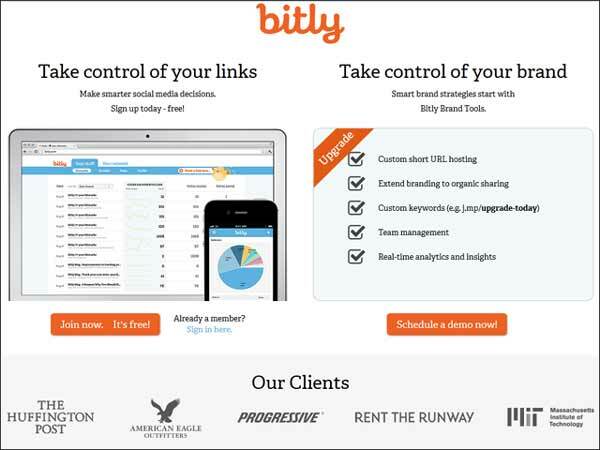 BufferApp let’s you schedule updates to Twitter, Facebook, and LinkedIn. There’s a free version with a limited number of posts you can schedule. The paid version is $10 per month, gives you unlimited scheduled posts for up to 12 social profiles. Lol, sounds extremely cool, but do you have any idea what it means? Me neither. Looking through the complete feature list, however, makes me think they might have some really useful tools in their box. It helps finding and posting share-worthy content. It starts with a free 14-day trial, then $9 per month, which seems excellent to me – even for the smallest business. Link building: automated tools for researching link prospects and conducting campaigns. PR & Social Media: Team- based software for building and managing relationships with influencers. Both start at $19 per month. This is the cheapest offer, and it is HIDDEN at the bottom of the purchase page. The main sign up area promotes the $29 subscription. 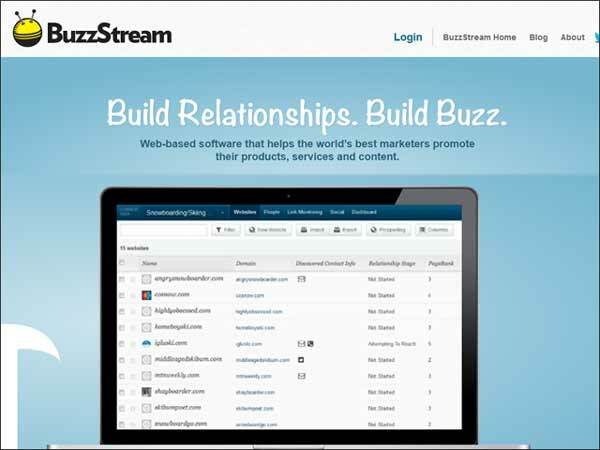 Ian Cleary: “If you are doing a lot of blogging and you need to reach out to promote your blog posts, BuzzStream manages this process. 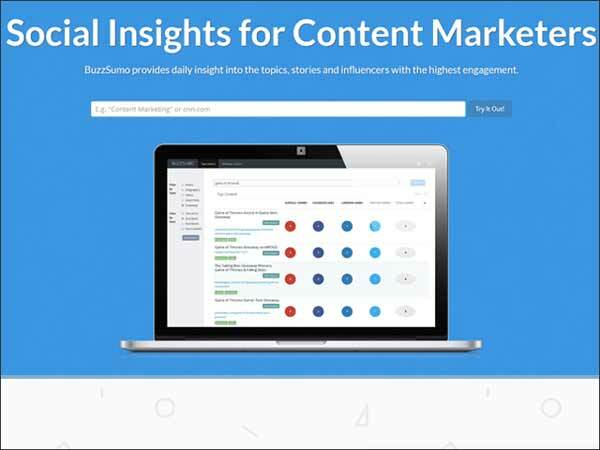 The influencer tools help you to find relevant influencers for any topic of your choice. Canva is a free online tool for creating graphics. On a side note: The Canva.com web site itself is a gem, one of the best examples for current web design trends I’ve seen. Must see! 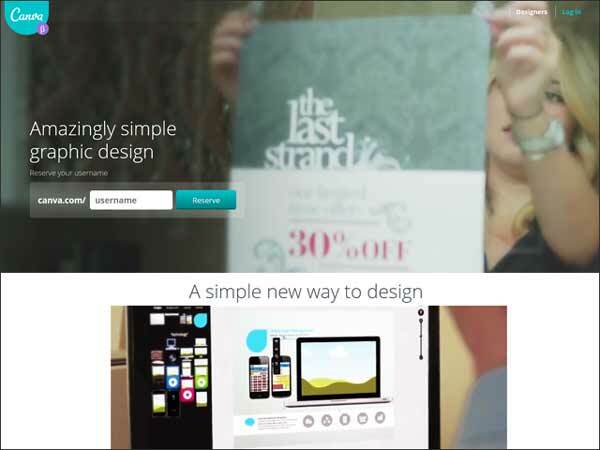 Ian Cleary: “Canva is a graphic design tool. We may not have all the skills for graphic design, and we can’t go out to graphic designers all the time. 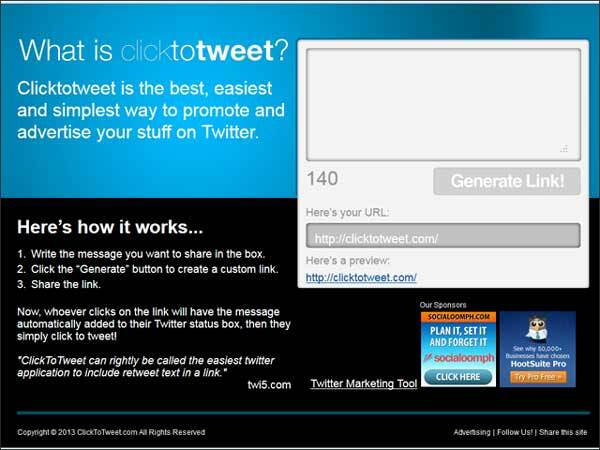 ClickToTweet is a handy tool to create hyperlinks that will post a Twitter status update when clicked. Click this link now to see it in action. The source code for such a link is somewhat complicated to create manually, so this tool really makes it easy. The screenshot explains how it works. This easy to understand social media tool explains itself perfectly right in the screen shot below. 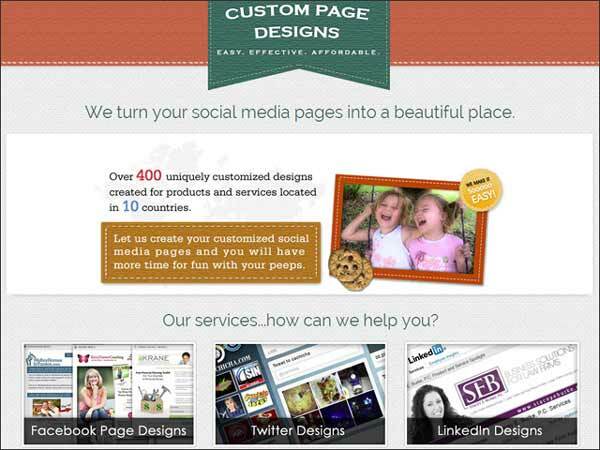 A web design agency specialized on social media profiles. Very reasonable pricing. Great concept! Great portfolio on their site! 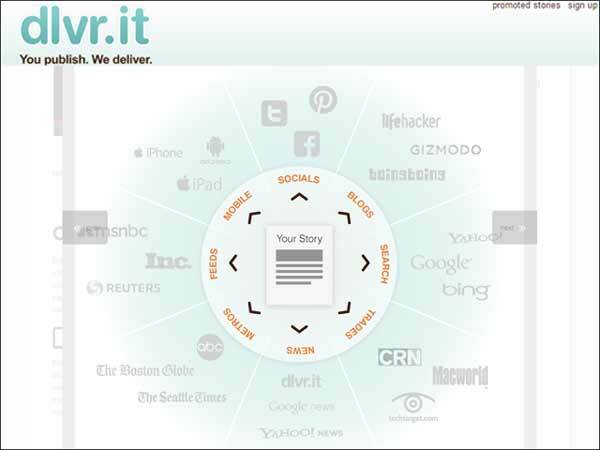 dlvr.it will auto post your RSS feeds to your social media accounts. For example you can have each new blog post promoted to your accounts automagically. It starts at 9.99 per month for 50 feeds and 15 accounts [enough for most people] and is a really useful feature for those who don’t have the same feature through a larger social media management tool like SproutSocial. Ian Cleary: “Dlvr.it is another really useful application. 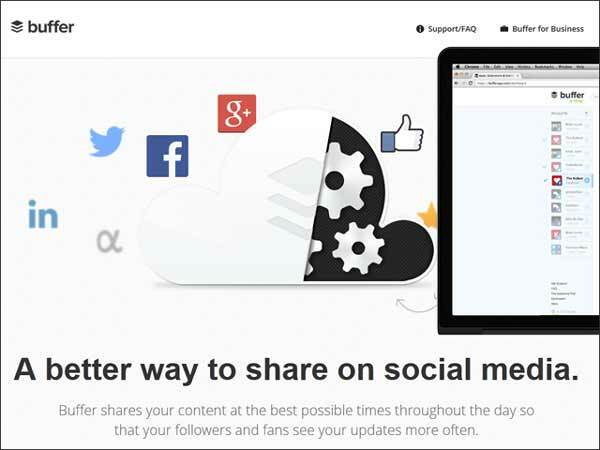 It’s an automation tool to help you share content. This sounds like traditional address provider, but it is not. Far from it! 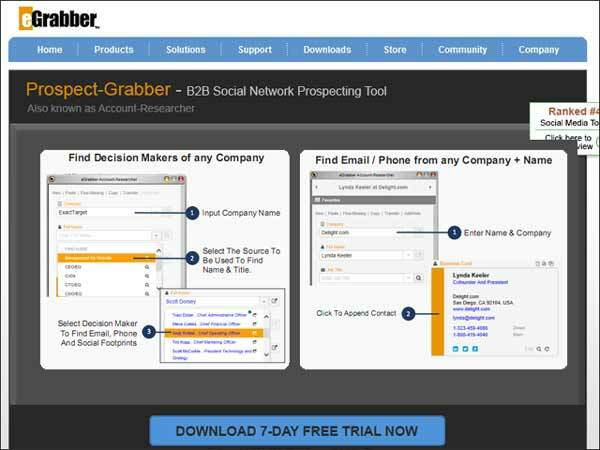 eGrabber researches the online footprint of any given contact from your social media connections. Viveka Von Rosen recommends it to get data for your LinkedIn contacts. Subscription is $79.95 / month. 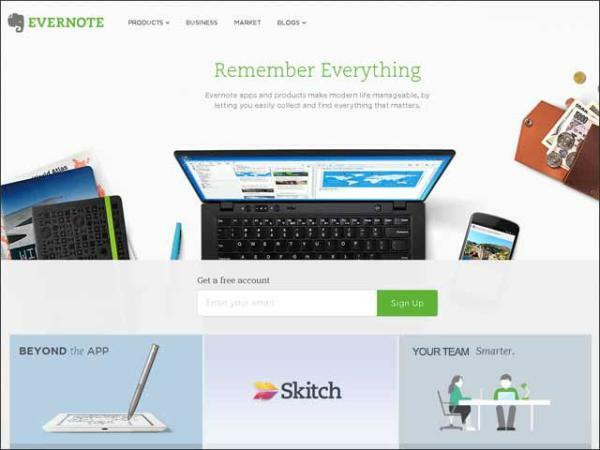 Evernote is a cloud based service where you can save your web research and content. It will synch across all your devices. As a blogger you can collect your research or blog ideas. For your social media marketing you can collect post ideas, or info snippets you find in other people’s posts. Mar Smith: “I’m going to recommend — I know Jon and I are on the same page about this — that instead of using that Boost button that’s ever tempting, you really familiarize yourself with Power Editor. You’re going to have so many better options. Using the Power Editor, you’ll be able to do much more advanced granular targeting and choose your ad placement. Power Editor also allows you to customize your bid, whereas just doing the boost post doesn’t. 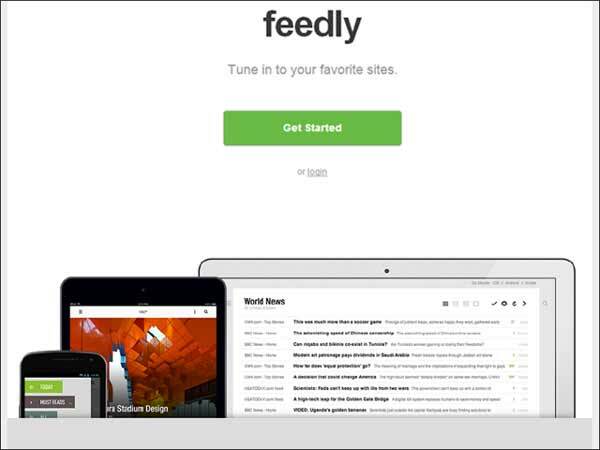 Ian Cleary: “Feedly is really useful. It allows you to subscribe to the blogs and then view all the latest posts directly within Feedly. It supports Buffer, which is a great tool for scheduling the delivery of content to social media channels, such as Twitter, Facebook, Google+, and more recently they added in support for LinkedIn company pages as well. 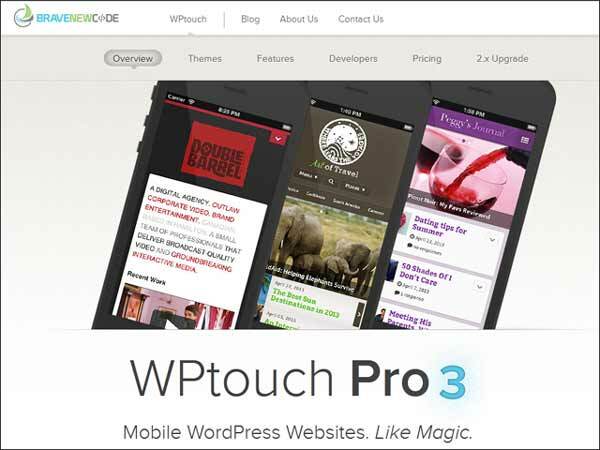 Flare is one of the many WordPress plugins that add a share bar to your blog. What I like is that it looks beautiful. Unlike other share bars all buttons have the same size and a matching design. What I don’t like is that the ‘buttons’ actually aren’t buttons. They are hover-areas. You must hover your mouse over the false button, only then the actual share button appears, and then you move your mouse over there and click. Strange concept, but probably the only way to achieve the nice design that I just praised a few lines above. 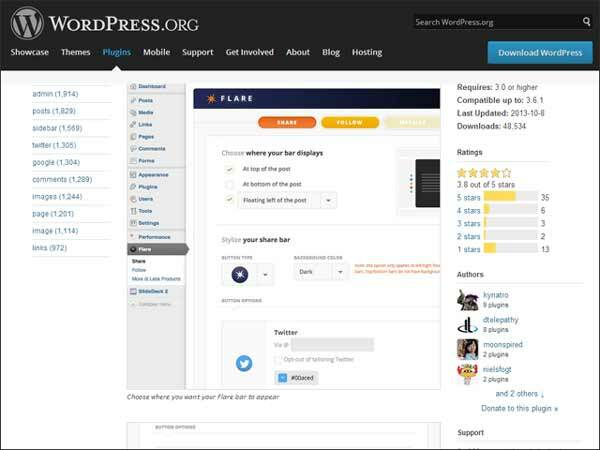 The WordPress Flare plugin page says “The Flare plugin isn’t in active development because we’ve created a hosted app version of Flare that works with virtually any website or CMS, including WordPress.” So, I’m not sure what is going to happen to the plugin. Use with caution. Google Analytics is a MUST for every web site owner and social media marketer. How many web site visitors you have. Which pages they visit. How many pages per visitor, and how long the average visitor stays on your site. On which pages you lose most of your visitors. Important! How many people find your site through Facebook, LinkedIn, Twitter, etc. 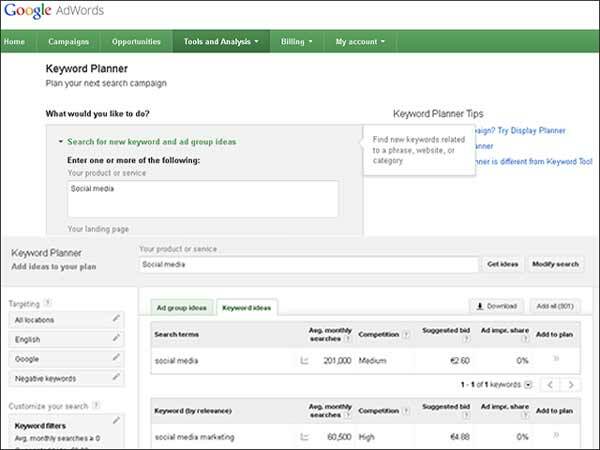 Google Keyword Planner replaces the previous keyword tool. Unlike before it’s not public anymore, but only available from inside your AdWords account. You should definitely have one, even if you do not plan on buying Google’s pay per click ads. The keyword planner tool is worth the effort of signing up. Not only will is show you which keywords have high search volume, it will also show you important related keywords. For example I have enriched this article about ‘social media marketing tools’ with some relevant, related keywords that I found using Google Keyword Planner. Google gave me related keywords like “social media listening tools” and “social media marketing tools.” Can you see what I’m doing? Ian Cleary: “If Twitter is where your influencers hang out, HootSuite is a really good tool to use. At HootSuite, you can filter tweets into different columns. One of those columns could display the Twitter activity for the influencers that you want to keep track of, so you’re separating out that activity into this column. Adrea Vahl: “If you’re spending more time in HootSuite, you can bring in RSS feeds into a separate tab. Just take a look at that, and those will also make it easy to share from there. James Wedmore: “This is more automation. This is more cool stuff. Basically, you create these little recipes. When you take an action on YouTube or when something happens on YouTube, it can automatically, on autopilot, trigger something else to happen. If you’re on LinkedIn, you can have your video posted to your LinkedIn profile or bookmarked on Delicious and numerous other bookmarking sites. Maybe you have a Tumblr blog, and you want your video published there as well. 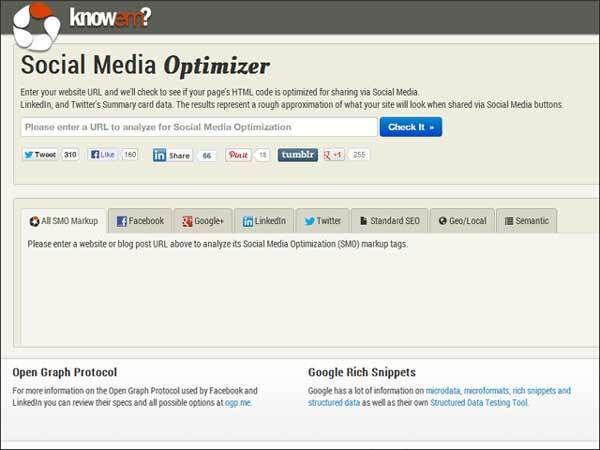 Lee Odden: “Another handy tool is Knowem SMO, social media optimization. 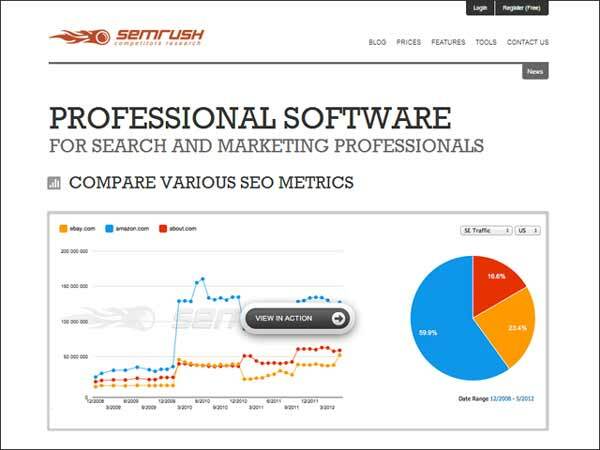 Basically, this tool will audit your site in seconds for the presence of microformats for Twitter, for Facebook, for Google+, for LinkedIn, as well as some key SEO metrics or SEO friendly characteristics of your site. 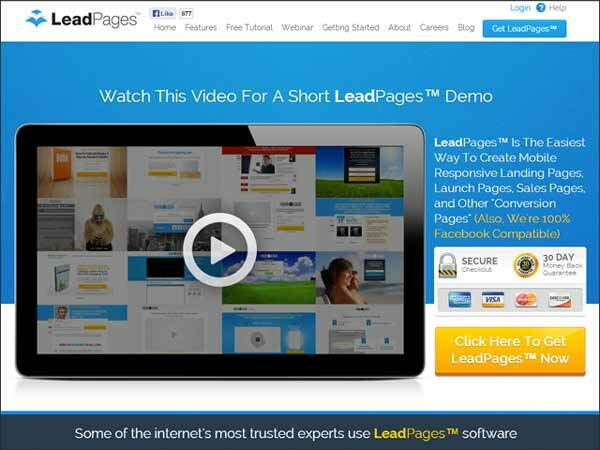 Amy Porterfield: “LeadPages is my favorite tool. 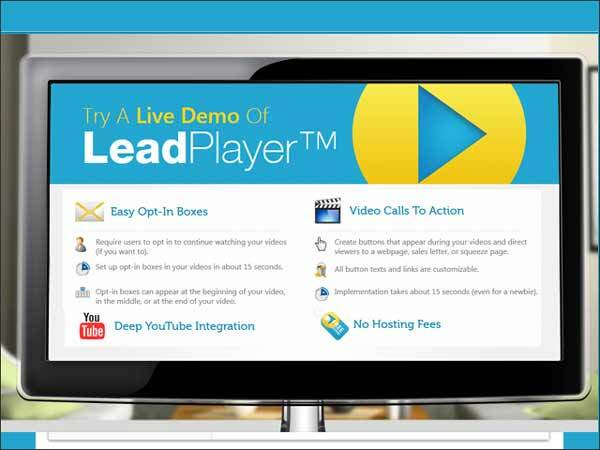 You can create lead capture pages instantly. This is what James Wedmore uses. It’s what I use. 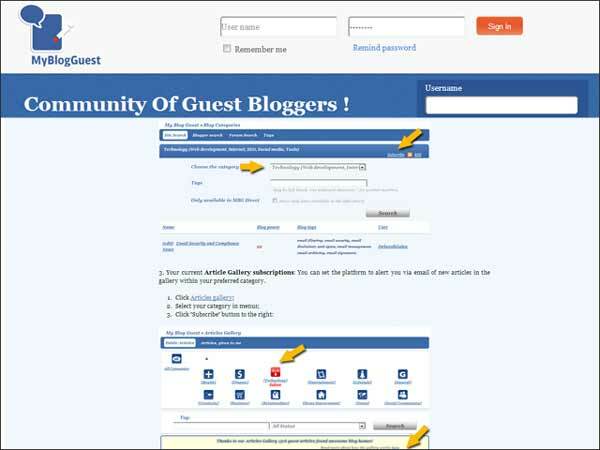 MyBlogGuest is a guest blogging community. For publishers: you can join free and find authors who will write unique guest posts for your blog. You can either contact authors directly, or chose from a large number of posts available for publication. MBG is dominated by seo agencies or seo freelancers who use it to build back links to their client’s sites. So, a lot of the articles are repetitive with the agencies promoting the same topics again and again. There are still a few great articles to be found. For authors: you need a paid account for $ 30 per month. You can then submit your guest posts to the system and publishers can send you offers to publish your article. As an author you can reject or accept offers. The quality of available blogs varies widely. There are a few good ones, but don’t expect high profile blogs to look for your articles there. No guest blogging community can beat individual blogger outreach. Yet, despite my critical remarks, MyBlogGuest is the best guest blogging community I know. Apart from that members help each other out with social media promotions. 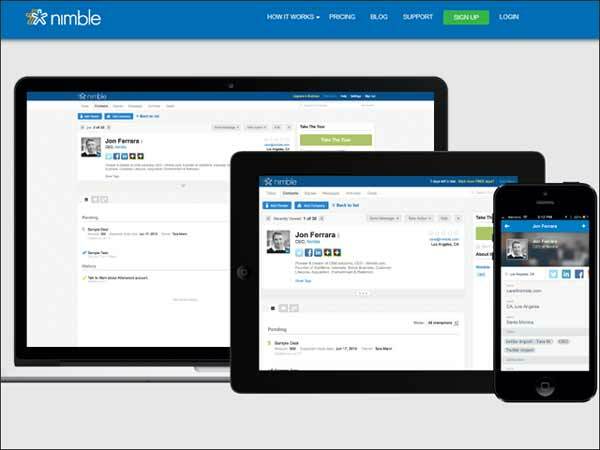 Ian Cleary: “Nimble is a useful tool to help manage and nurture relationships. It helps you track all the interactions that you’re having, and it prompts you when you haven’t interacted with relevant people for a while. 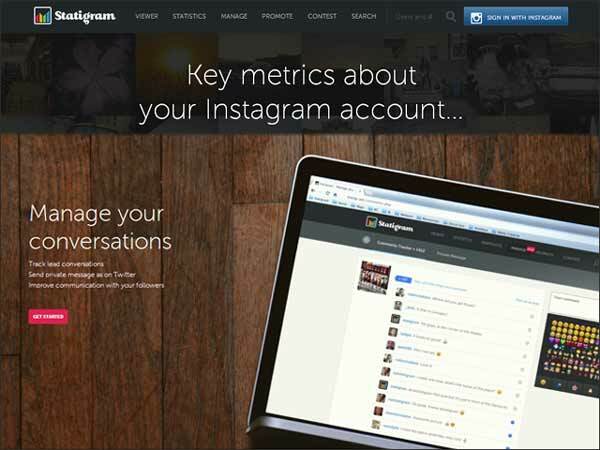 Nitrogram is a social media monitoring tool for Instagram. Track the performance of your Instagram accounts and benchmark them against competitors’: audience profile, audience growth and churn, average engagement (likes, comments) and best performing posts. 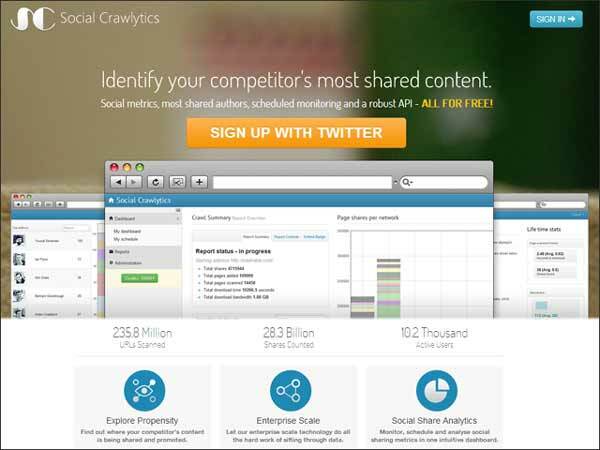 Access detailed reports for posts published on a specific #hashtag and the authors behind them. Engage with your community from a unified web interface. Switch between your different Instagram accounts. Has a free trial and starts with paid accounts at $149 for their ‘Dynamite’ plan. 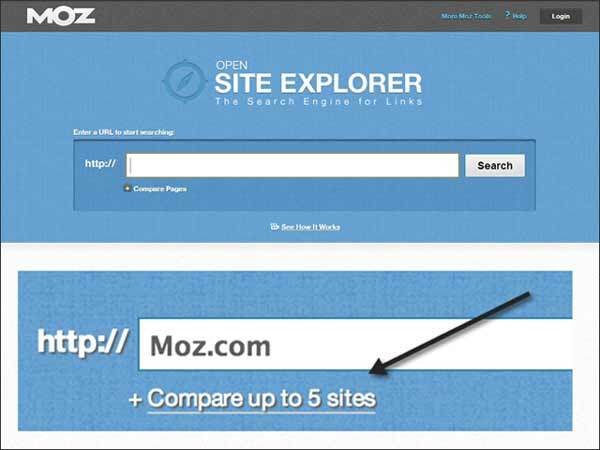 Ian Cleary: “There’s a tool called Open Site Explorer, from a company called Moz. They have an algorithm that scores websites out of 100. The higher the number you are, the better for you. 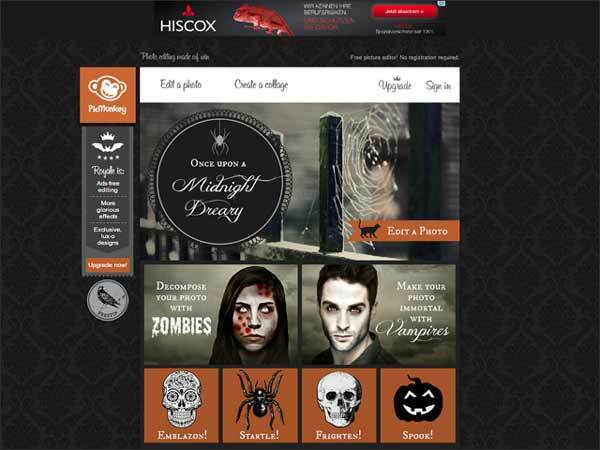 Ian Cleary: “One of the key features is the content discovery engine. If you want to find content to share based on your industry, you can just enter keywords in Post Planner. 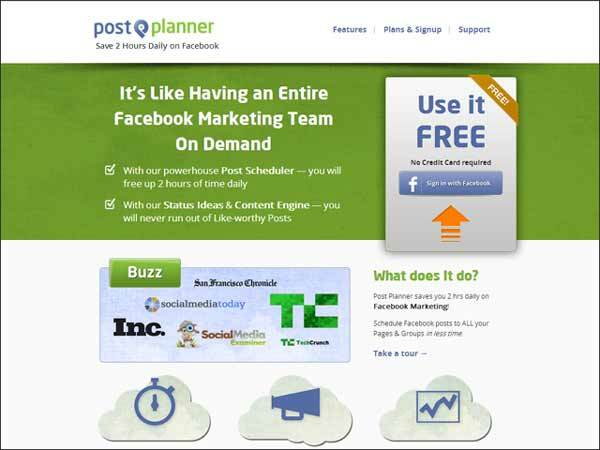 Post Planner will go off and find content that’s trending on the web related to these keywords. I can sort these by the most recent, or the ones that are shared the most, or the ones that have the most likes. So I am finding trending content on the web that’s really popular, and now I can select this and add it to Post Planner. 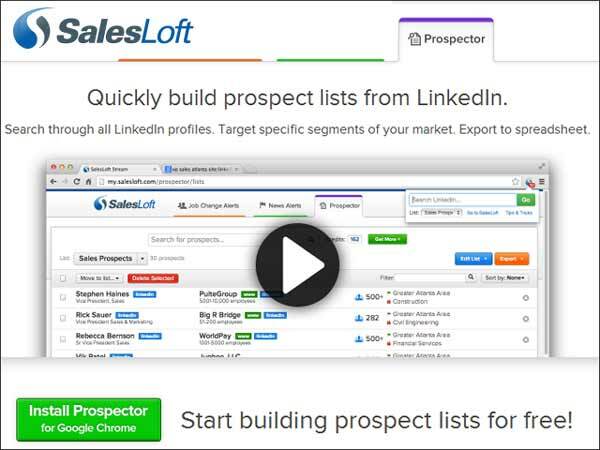 As you can see it in the screenshot below, SalesLoft is a tool for prospecting on LinkedIn. SalesLoft has a free plan which is HIDDEN on the bottom of the pricing page. The paid plans start at 119 per month. 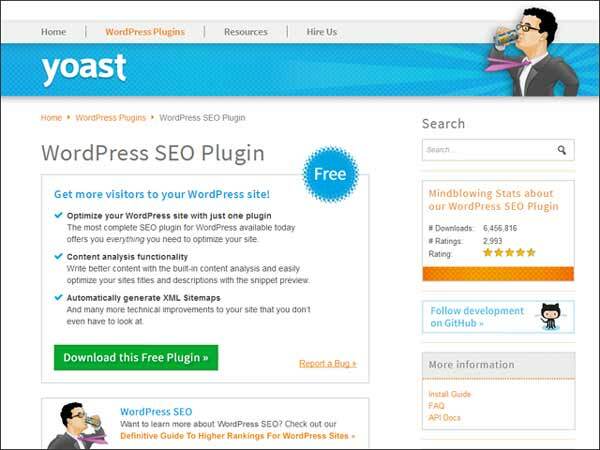 I’ve tested many SEO plugins for WordPress, and this free plugin is by far the best I can recommend. Besides what Ian mentions below it also takes care of important social media optimizations. For example it adds code to your pages that allow Twitter to show post previews directly on the Twitter web site. How cool is that? It’s free, plus it has a few commercial Add-ons. The free version is very powerful, you don’t need the paid Add-ons in most cases. Ian Cleary: “I’ll put in what my focus keywords are that I want to rank on. Then it will ask me: did I include that in the article heading, did I include it in the page title, and did I include it in the content? This is a very easy way of checking if I’m ranking correctly for this content. There is a more advanced section as well if you want. 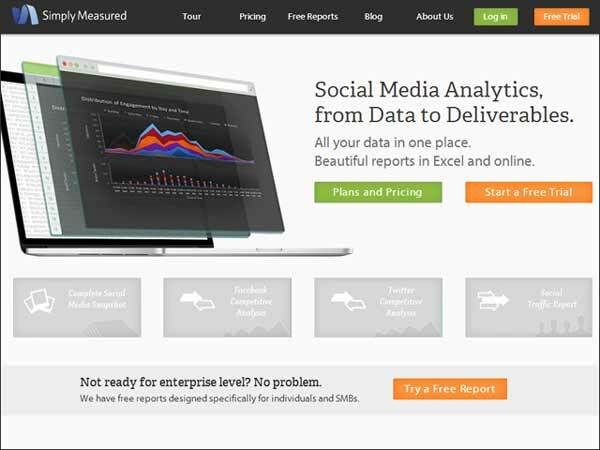 SimplyMeasured is a professional Social Media Measurement & Analytics Tool, just as the name suggests. 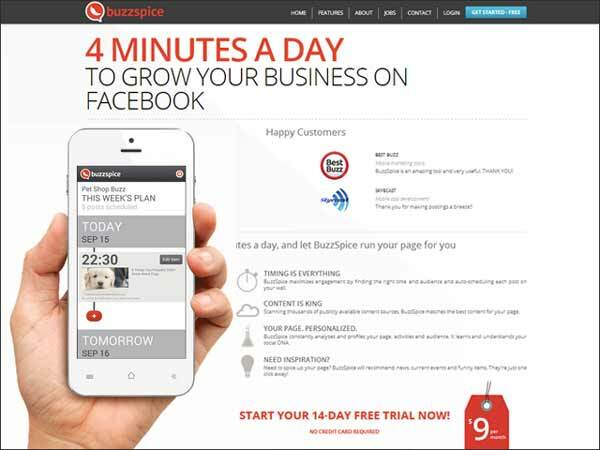 Works with Facebook, Twitter, Vine, Instagram, YouTube, Google+, Klout, and Google Analytics. 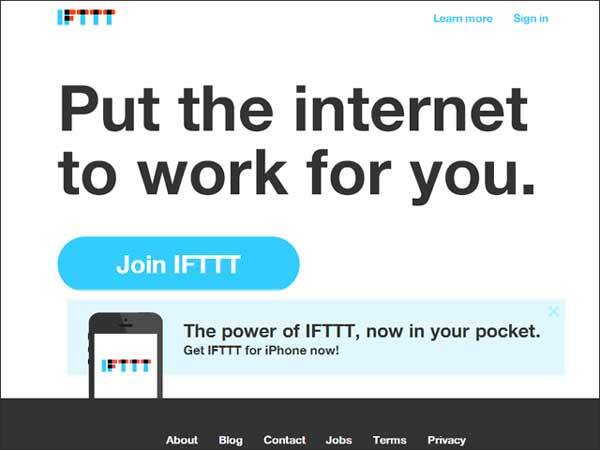 Tumblr, Pinterest, and LinkedIn will be added soon. The feature tour is impressive, plans start at $500 which clearly makes it an enterprise tool and not suitable for the average small biz or freelancer. Unfortunately one of those sites that give you next to zero information – which is a bummer when you want to do a quick review. :-) The web site features 3 areas that promise more info by changing color when you hover, but when you click, nothing happens. Usability at its best! This seems a really cool tool. 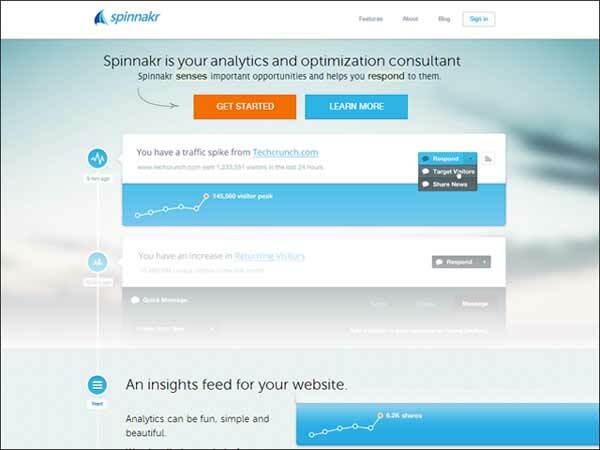 Spinnakr analyzes your site visitors and can display targeted messages to them on your site. 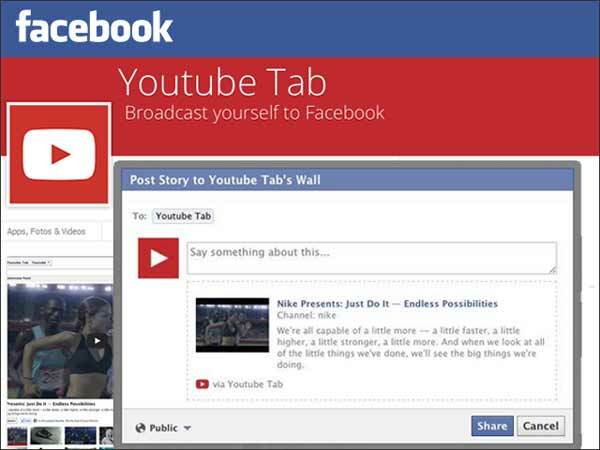 For example you could show a specific message to visitors from Facebook, that other visitors won’t see. This page gives lots of examples. I haven’t read them yet, but I’m definitely taking a closer look in the next days. There’s all kinds of opportunities to increase conversions, shares, etc. They have a free plan, paid plans start at $18. 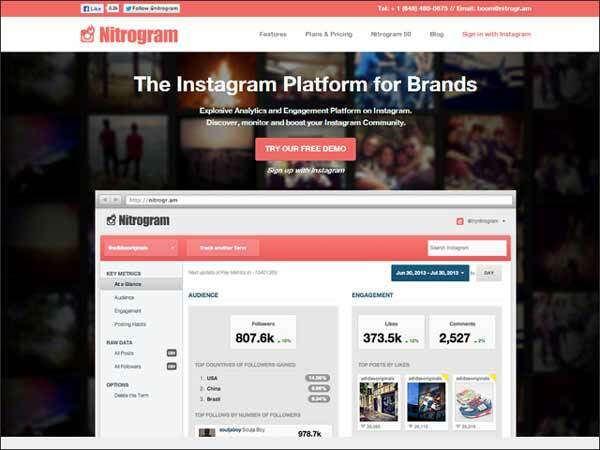 Like Nitrogram, Statigram is a social media monitoring tool for Instagram, they claim to have 4 million satisfied members. It seems the sign up is free, I couldn’t find pricing info on the Statigram web site. Timeline Contest Creator does exactly what the name suggests. 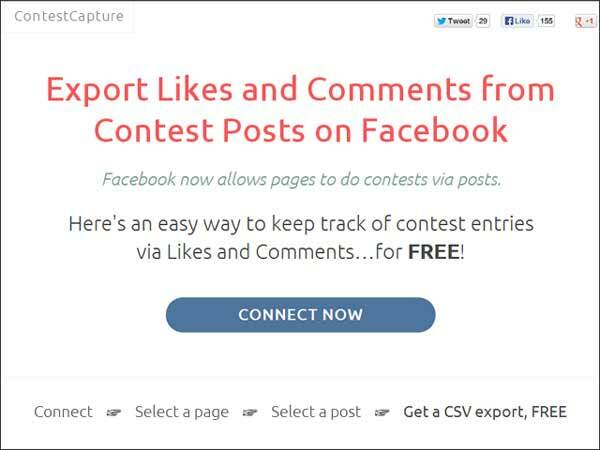 It lets you create contests for your Facebook page. The point is to increase engagement on your page. 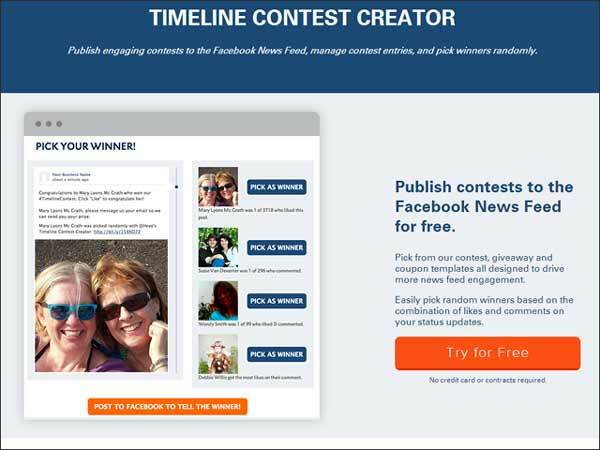 Timeline contest creator offers contest, giveaway and coupon templates. There’s a free trial, plans start at $8.50 per month. 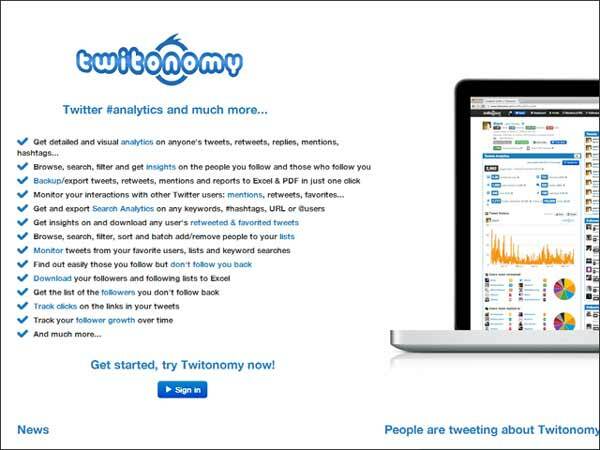 Twitonomy is a social media measurement tool exclusively for Twitter. Sign up is free, I don’t know yet if they have paid upgrades, couldn’t find any pricing info on their site. The screenshot shows the feature list. 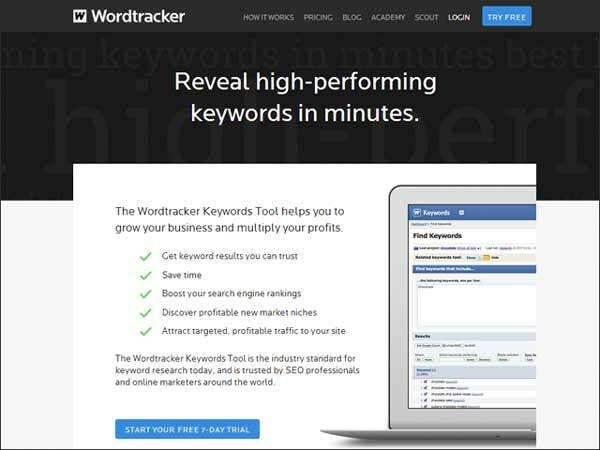 Rich Brooks: “Another tool I like is Wordtracker’s Find Keywords. The way I recommend using this tool is you put in a broad keyword term, in this case “organize.” Then Wordtracker, using its partner search engines, gives us a whole bunch of different keywords that can all be used for blog posts — garage organize, organize your home, your house, clean laundry, whatever it is. It gives us a whole bunch of terms. Then, in the next column, it tells us the search volume for those terms, how many people in the last month have searched on them. Keep in mind this is only the search volume of their partner sites, which doesn’t include Google or Bing. So the actual number of searches is much higher. James Wedmore: “If you just go into Facebook and type in YouTube tab, you’re going to get what’s called the YouTube Tab for Facebook. It will show your latest video up at the top and then little pretty thumbnails of all your past videos. 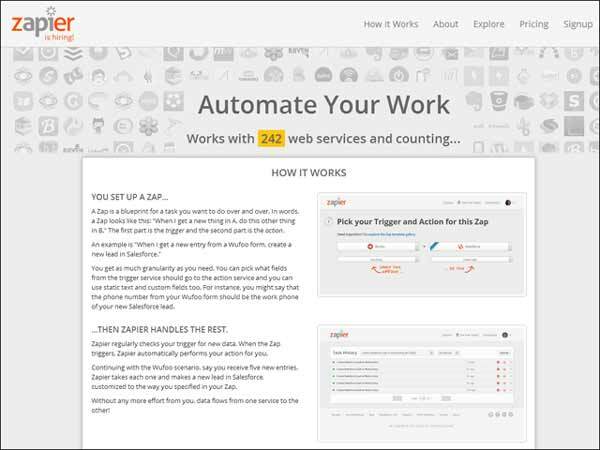 Ian Cleary: “Zapier allows you to set up automation tasks. An example is when you have a YouTube video. As soon as the YouTube video is loaded, it automatically goes into Buffer, and then Buffer sends the details out onto Twitter and to Facebook. 22s.com, also called 22Social, is a fan page app for Facebook. Unfortunately there’s no web site [it redirects to Facebook], and on their Facebook page there isn’t any written description to be found what the app does. The sentence in the screen shot below is as much info as you can find. Pricing is secret, too. These are the authors that I quoted above with their statements about the individual social media tools. Amy Porterfield is a social media strategist and co-author of Facebook Marketing All-in-One For Dummie. She teaches biz owners how to use social media to gain greater exposure, attract quality leads and turn their fans and followers into loyal customers. Andrea Vahl is a social media coach, speaker and strategist and also co-author of Facebook Marketing All-in-One For Dummies . She also uses her improv comedy skills to blog as an entertaining character named Grandma Mary, a social media edutainer. David Siteman Garland is the founder of “The Rise To The Top” and author of Smarter, Faster, Cheaper. David’s interviews have been downloaded over 6 million times with guests including Tim Ferriss, Zappos CEO Tony Hsieh, and Seth Godin. Ian Cleary is the creator of RazorSocial. He’s a social media speaker, writes for some of the leading social media blogs and has been published on Social Media Examiner, Huffington Post and Business Grow. , and founder of “Video Traffic Academy.” He launched his first online business in 2008 with an Online Bartending School. James teaches the importance of online video to small business owners. Lee Odden is the author of Optimize: How to Attract and Engage More Customers by Integrating SEO, Social Media, and Content Marketing . He is also the CEO of TopRank Online Marketing, a marketing and PR agency. and coauthor of Facebook Marketing: An Hour a Day . Rich Brooks is president of web design and Internet marketing company flyte new media. He’s the founder of The Marketing Agents, a blog, podcast and YouTube channel, providing free advice to small business owners and marketers. He’s also founded AgentsOfChangeCon.